View results at Culturalist. And if your fave grub didn’t make this top 10 list, you can still add it + rank your own top 10. We’re gearing up for music festival season with our partner Culturalist. Together we’ll be creating fan-ranked top 10 lists on very, very important topics like festival food, concert fashion, and so much more. So if you’re like us and LOVE to make lists, we want to hear from YOU. Rank your own top 10 list of the best music festival food at Culturalist and share it with other fans. Come back here to Ticketmaster Insider on Thursday, April 7 to see which music festival foods made it into the top 10. Come on, tacos! ?? 1. Go to Culturalist to see the music festival food options. 2. Highlight your 10 favorites and click to publish your list, rearrange your options, and add any new items to the list you want to include. 3. Once your list is published, you can see the overall rankings of everyone on the aggregate list. We can’t wait to see which music festival food comes out on top. After all, food is one of the great joys of the music festival experience, and it just keeps getting better. Staples like pizza, burgers, and fried everything have been satiating hungry fans for decades, but in recent years fest fare has gotten increasingly “haute” as healthy options, exotic cuisine, and unique regional dishes have made their way into festival food courts. With farm-to-table options, craft beers, and fancy food trucks elevating festival food to new heights, attendees have followed suit, cooking up their own gourmet foodie creations on festival campgrounds across the country. In light of all these fest food innovations, we added our favorites to Culturalist (along with a few things we’re dying to try) from Coachella, New Orleans Jazz & Heritage Festival, FYF, Outside Lands, Vancouver International Jazz Festival, and Crssd Festival. A big shout out goes to all the great photogs out there capturing these foodie goodies—thanks to your mouthwatering pics, we’re eager to dig in to all the deliciousness at this year’s fests. 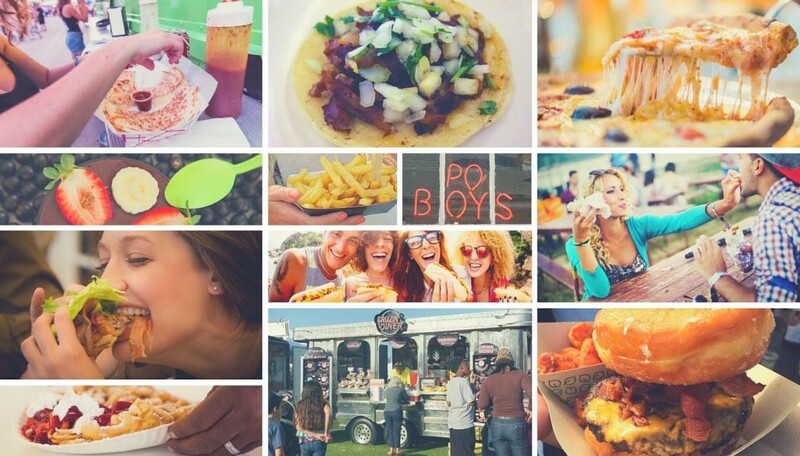 Follow Ticketmaster’s board Festival Food on Pinterest. Explore the latest music festival updates at the Ticketmaster Festival Guide.